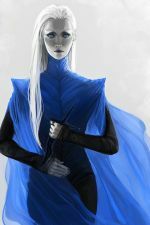 Riga Duskhand is the leader of a "cabal" of elves who froze their hearts to hide from their masters and then murdered, tortured and assassinated their way free of Arcadia. He serves as a knight of the Winter Court of Mildura... although his duties are rarely chivalrous. A severe-looking thin man of Scandinavian descent. 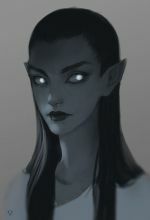 A heavily scarred, very pale elf with dark hair. Riga is cold and full of hate. As a Winter courtier, he tries to spread as much sorrow as possible. A motley of sorrow-smiths and woe-wrights, The Cabal is made up of five snowskin elves (including Riga) who serve as knights of the Winter Court... for a certain value of "knight". 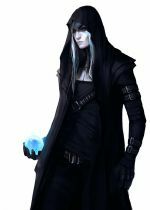 The Cabal is known in less savoury circles to be a small cartel of specialists for hire, with skills covering a wide variety of illicit and cruel professions. Sigrun's garden is a beautiful and deadly place, littered with many small animal bones. Brenna can break into fortresses, steal what cannot be stolen and kill without making a sound. 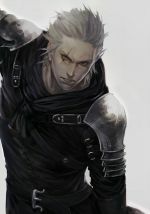 Einar strikes fear into adversaries' faces - whether with his fists or a broadsword. Ville's trade is information and connections. He can take you to who you need... the rest is up to you. This page was last modified on 24 March 2019, at 18:40.